In November 2017, Target made their initial appearance on Hillsborough Street and three months later the project is being recognized as an award-winning development. Loden Properties of Raleigh was awarded Top Retail Development for this space by Triangle Business Journal in their 2018 Space Awards, and it is easy to see why. Loden Properties of Raleigh, a new real estate development group, is credited with this Top Retail Development. Russ Jones and Henry Ward created Loden Properties with the vision of building ‘locally-focused urban projects that attract people to create, work, shop, eat and enjoy’. View of the recently renovated building front. Target opened their new location in the heart of Hillsborough Street and directly across from North Carolina State University’s main campus. Target now occupies The Alley’s former location. 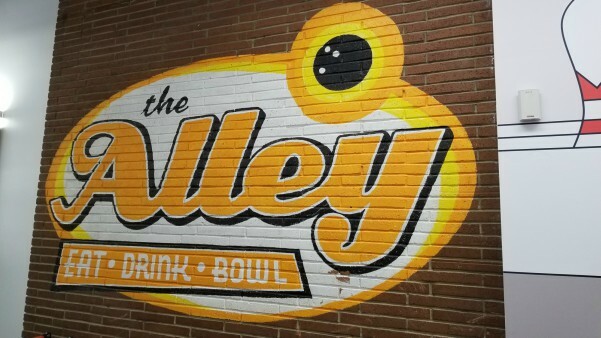 The Alley was an “old school” bowling alley which was especially popular amongst NC State students. The Alley was an icon of NC State student culture and history. Though many students were saddened to see The Alley leave, there was mass excitement buzzing around the plans for Target to take their place. The Alley logo still remains on the brick wall at the entrance of the Hillsborough Street Target. Target also preserved and reused the wood from the bowling lanes, incorporating pieces into decor around the store. Sustaining these remaining remnants of The Alley within Target, makes this location extraordinary and sentimental for NC State students and alumni. 23,000 square feet stands today filled with products targeted primarily to the NC State student audience. 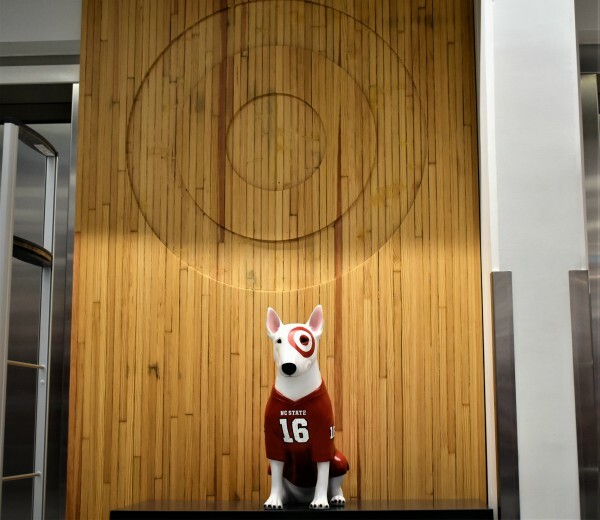 With the majority of Target stores being over 80,000 square feet, the Hillsborough Street location had to be innovative in their displays and maximize all the space they had to work with. 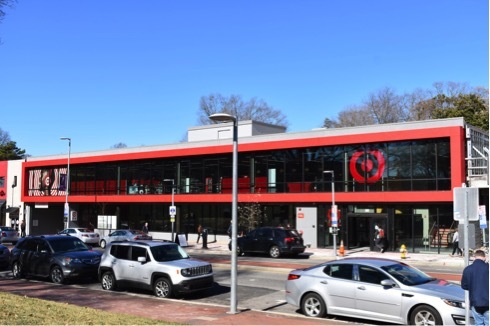 Hillsborough Street Target is the second “flexible format” college campus store to be developed with the first being deployed on Franklin Street in Chapel Hill. "Flexible format" means that Target will provide distinct products and specific quantities to best correlate with their audience. The "flexible format" helps to create a presence of more relevant products for their market, which in turn benefits both the customer and Target. Products primarily range from grab-and-go products, to fresh produce to health and beauty products. Grab-and-go products, are undoubtedly very popular among the college student population.